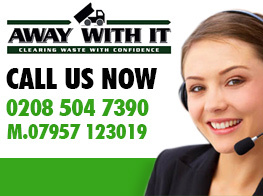 There are many Walthamstow waste removal companies, but none provide the same level of service as Away With It. 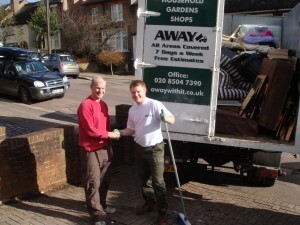 Having been providing house clearance throughout Walthamstow for countless years, we have become the areas most trusted house clearance provider due to the bespoke service we give each of our customers. There is no reason why service shouldn’t be provided with a smile and you will find that the entire Away With It team is incredibly friendly. Even at 7am on a bitter winter morning, we are ready to crack on with the job in hand and whether you are the first or last customer of the day, you know you will get the best customer care. Our phone advisors are always ready to answer any questions you have, no matter how complex. 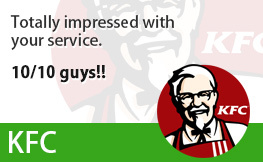 Our priority is to ensure you are happy. Hard work is not something Away With It are scared of. Between the hours of 7am and 11:30pm, 7 days a week, we are ready and raring to get the job done. 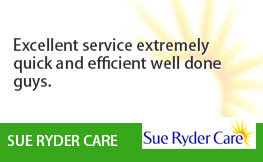 Our long working days mean you don’t need to take time off work or arrange child care to have your waste cleared. 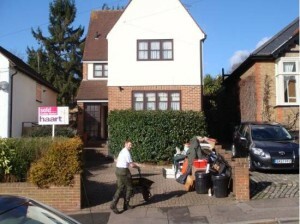 You tell us exactly when you want your house clearance service. With flexibility comes efficiency. 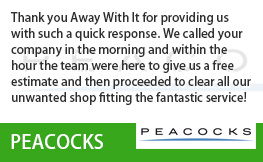 Whilst we deliver the best house clearance service, we also make sure that we are quick when doing so. We know you don’t want us in your property for longer than needed, so we will always make sure we are in and out as quickly as possible. 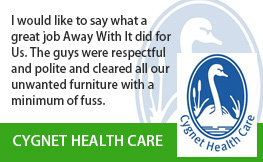 Our friendly teams will always tidy up after themselves and ensure safe practice at all times. Some house clearance companies have a less than scrupulous reputation. What makes us different is that we are fully licensed and insured waste removal experts. When a job is completed by Away With It, every single law and legislation is followed to the letter, giving you peace of mind the job is being completed in a qualified manner. Furthermore, we are very conscious about the environment. For this reason, we recycle 80% of the waste we move from residential and commercial properties. 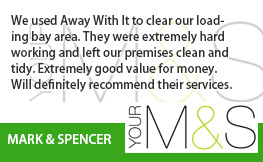 Whether you have an entire house to clear, or just a few items, get in touch with Away With It today. One of our advisors will be able to guide you through the process and, if needed, one of our team will visit your property to give you a no-obligation free quote. However, please don’t feel obliged to accept, we are more than happy for you to go away and think about it. 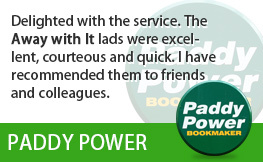 If you’d like to go ahead or find out more information, simply give us a call on 0208 504 7390 when it best suits you.